Nonverbal communication can say as much as spoken words. Their body language sends a message of exclusion and rejection. Photo by Win McNamee / Getty Images. Planning commissioners spend a lot of time choosing the right words to avoid sending the wrong message, but it is equally important to monitor the nonverbal communication signals that accompany your words. In fact, research shows that more than 93 percent of communications effectiveness is determined by eye contact, body language, facial expressions, and voice quality. When you are trying to send important messages like “I am telling you the truth” or “I respect you,” or when you are establishing the power positions of the parties, the nonverbal signals you send can be even more important than the particular words you speak. Understanding nonverbal communication can help you monitor your own physical cues and understand what other people are telling you, even when they’re not speaking out loud. Here is how this applies to planning commission meetings. People involved in high-tension civic discussions often feel very distrustful, and planning commissioners need to carefully monitor both incoming and outgoing nonverbal signals of honesty. How can you tell if a witness is exaggerating or lying? How can you make sure you aren’t inadvertently sending signals of dishonesty? Here are some tips on how to enhance your own credibility and assess the straight story from other people. We are very suspicious of people who won’t look us in the eye. Speakers rated as “sincere” make eye contact three times more often than “insincere” speakers. Maintaining sincere eye contact doesn’t mean staring like an unblinking lizard. Honest speakers blink between 10 and 20 times per minute. To not appear dishonest, avoid excessive blinking when facing a news camera or when sitting on a brightly lit podium, where strong lights may naturally trigger a lot of blinking. Stress and tension can cause delicate nerves in the face to tingle, so people who are lying often scratch their noses, touch their cheeks, and rub their eyes more frequently than calmer, more truthful speakers. The same response can also thicken the consistency of the saliva. Stressed or tense speakers (whether honest or dishonest) often lick their lips, swallow, or clear their throats more often than relaxed and happy speakers. Have a glass of water available when you are making a stressful presentation. People with something to conceal often hide their hands. In stressful situations, keep your hands where people can see them. People who talk with their hands are also perceived as being more confident. 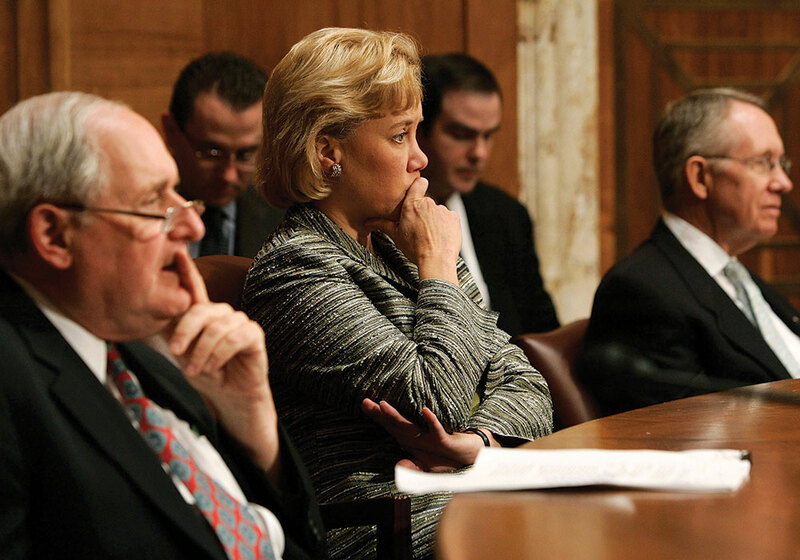 Sen. Carl Levin (D-Mich.), former Sen. Mary Landrieu (D-La. ), and Sen. Jack Reed (D-R.I.) display varying levels of skepticism during a hearing. Landrieu, who has her mouth covered, is the least receptive. Photo by Alex Wong / Getty Images. It is easy to say you want to treat citizens with respect, but what should you actually do to demonstrate it? Start by paying attention. Abandon other activities competing for your attention. Set aside reports and turn off your cell phone. Put your pen down as soon as a citizen approaches the microphone to indicate that you are now turning your attention to the speaker. Needless to say, turning away from the witness to exchange private whispers or jokes with a fellow commissioner is an obvious and inappropriate misdirection of attention. Leaning forward is an effective way to convey attention to and interest in a speaker. By inclining forward in your chair, you create a more intimate environment between you and the speaker that seems to exclude distractions. Leaning back can signal that you feel distanced from the speaker or are unwilling to get personally interested in the issues. No matter how big the audience is, genuine, respectful eye contact involves looking at one individual at a time. Select one audience member and make personal eye contact with that citizen, then look at another part of the audience and make eye contact with another individual. Even if you cannot make personal eye contact with each person in the room, attendees will perceive that you are respecting each citizen as a unique individual. 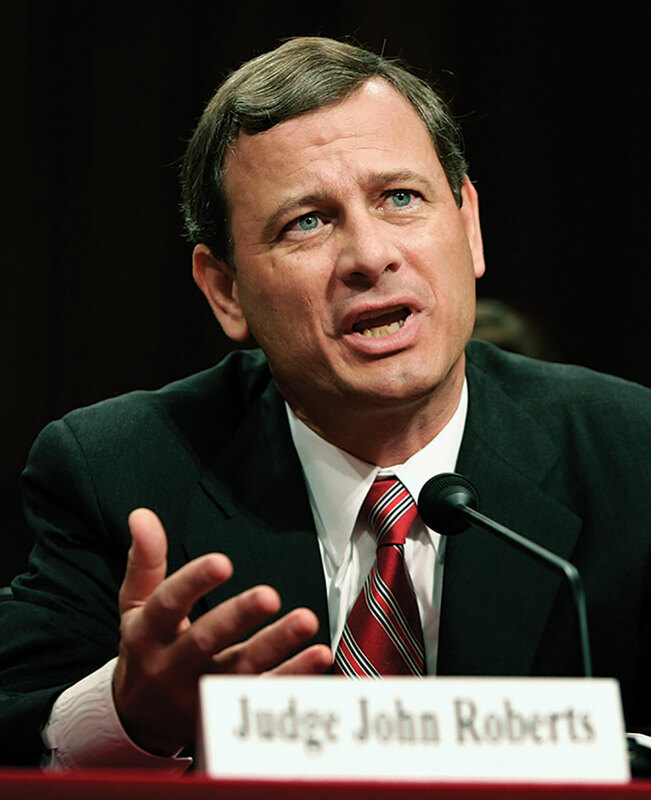 Supreme Court Chief Justice John Roberts positively reinforces his testimony during his confirmation hearing with forceful, but not domineering, hand gestures. Photo by Win McNamee / Getty Images. We have a natural tendency to make more eye contact with people we know and like, and with an individual who has asked a question and is now listening to the answer. In an audience setting, however, looking exclusively at one person for too long can actually send messages of disrespect to everyone else. If you have something to say of interest to one audience member, assume that it is of interest to everyone, so shift eye contact regularly. Some planning commissioners who process information best when it is in writing might alternate between looking at the witness and looking at staff reports and other printed materials, trying to link what they are hearing to the written evidence before them. Other commissioners are such focused listeners that they need to eliminate visual distractions that could compete with auditory evidence. These commissioners may close their eyes to listen to a witness, seem to stare straight “through” the speaker without really seeing anything, or gaze vaguely at their desk or off into space. 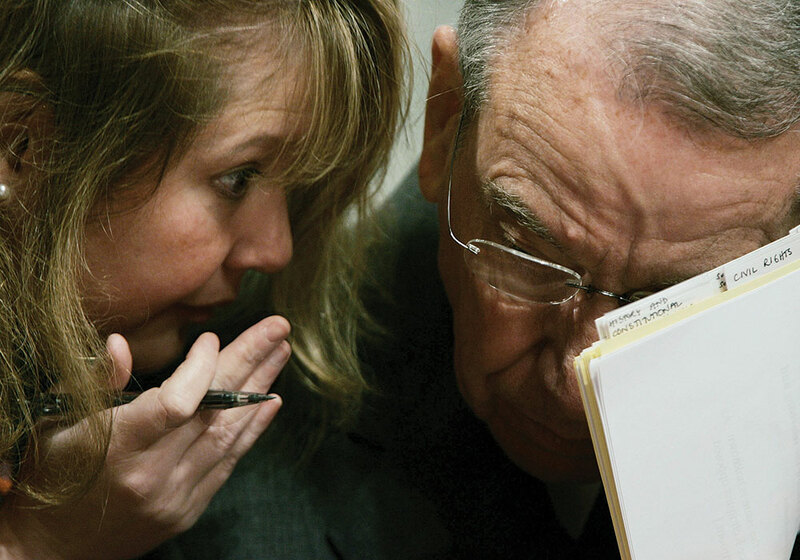 While these can be effective strategies to help commissioners balance verbal, written, and visual input, they can send the inadvertent message that the commissioner isn’t really listening. It is very important to keep your hands away from your mouth whenever you are speaking or listening. Studies have shown that roughly three-fourths of people who cover their mouths when listening are hiding thin, compressed lips that indicate disapproval. Concealing your lips while listening sends the signal that you don’t like the person you are listening to, that you disagree with what is being said, or that you don’t want to be involved in the discussion. These negative nonverbal signals are often accompanied by positive but insincere cues such as nodding one’s head or smiling, but the rejection message always prevails. A savvy audience can often predict the planning commission’s vote simply by watching what happens when various supporters and opponents are testifying. If too many audience members start covering their lips while you are speaking, you aren’t getting through. Take another approach. It is perfectly okay, though, to touch other parts of your face while listening. Resting your chin on your hand while listening or touching your cheek send the message that you are listening carefully and trying to understand. Power is a real part of the world of planning and politics. Neighbors who feel pushed around feel resentful and angry, while commissioners who appear weak, ineffective, or lacking in confidence may be unable to achieve important civic goals. Hands communicate power in several ways. Powerful people speak with their hands and point with their index fingers while speaking. People who engage in hand-washing motions, clutch their fingers, rub the back of their necks, put their hands in their pocket, or touch their body or face are sending signals of nervousness or insecurity, so be aware of what you are doing to ensure you are sending appropriate signals of confidence and authority. It is important to keep in mind that everyone has a sphere of personal space. When you inadvertently invade someone’s private bubble, an individual feels threatened. So when you see someone moving closer or farther away from you, don’t automatically adjust the distance to your own comfort level. Consider whether the individual has moved in order to minimize his or her discomfort. While it is always important to pick one’s words carefully in the high-profile world of planning, it is equally important to monitor and control one’s nonverbal communication signals. By using nonverbal communication skills planning commissioners can enhance their statements, better communicate with the public, and help make the planning process more inclusive. Stein, who died in 2009, was president of CGA Strategies and a nationally recognized land-use expert, public affairs professional, and published author. This article first appeared in the Fall 2006 issue of The Commissioner. New technologies are being introduced into autonomous vehicles continuously, but it could be decades before completely driverless cars are widely adopted. Image @Pressureua / dreamestime.com. Let’s start with what we know. In 2013, the National Highway Traffic Safety Administration released its Preliminary Statement of Policy Concerning Autonomous Vehicles, which identified five levels of automation ranging from Level 0 (no automation, like conventional cars you are used to) to Level 4 (full automation, in which the “vehicle is designed to perform all safety-critical driving functions and monitor roadway conditions for an entire trip”). Fast forward to 2016 and we have Level 2 technology available on the market today; this technology allows a driver to temporarily relinquish control of the vehicle, meaning both hands and feet can disengage until the driver’s attention is needed. Today, some vehicles traveling on highways use Level 2 technology for adaptive cruise control in combination with lane centering. There is a lot of speculation about when we can expect commercially available Level 4 technology — the holy grail of AVs and the level at which many of the technology’s purported benefits could begin to accrue. Some automakers claim they will have figured out full automation in the next few years, while others are less aggressive in their timeline. The best guess for wide adoption currently hovers around 2025 to 2050 — there are still many details to work out. Although widespread adoption of full automation is likely many years, and perhaps decades away, we — as planners and commissioners — should be drivers and managers of change. A 2015 study by the National League of Cities found that only six percent of municipalities had considered the potential impacts of autonomous vehicles within their long-range transportation plans, while 50 percent suggest new highway construction is necessary. A handful of states (Nevada, California, Florida, Michigan, along with Washington, D.C.) have adopted policies allowing for the testing of autonomous vehicles within their borders, though experts disagree on whether these policies were necessary to allow the testing to occur. The policies’ primary purpose — whether intended or not — may have been simply to encourage industry investment in those states, rather than to steer industry toward any particular applications of the technology. Shared ownership of autonomous vehicles can lead to the most benefits. So while there has been some policy activity to harness the potential economic benefits of a new industry, the vast majority of cities still have a huge opportunity and responsibility to act. The potential benefits are too great not to. These benefits could include increased traffic safety, reduced vehicle congestion, and fluidity of traffic flow on highways (reduction of human response time); more time for productivity or leisure (while Avs drive); expanded mobility for seniors, people with disabilities, and those under the legal driving age (all driven by Avs); and increased availability of urban land for uses other than parking (as Avs do not need to park near their users). None of these benefits, however, is a foregone conclusion, and some could be enhanced if the predominant ownership model is centralized rather than individualized. This is why it is so critical for planning leaders to act today. 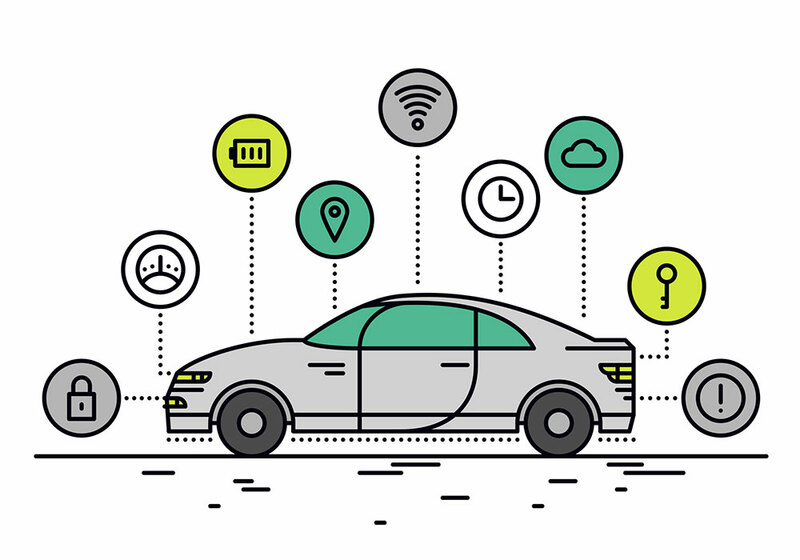 The benefits of shared fleets of autonomous vehicles start with the ability to combine trips across a much broader critical mass of travelers, generating more high-occupancy vehicle trips. If mobility can be as readily available through a shared service-based model as it is today in a personal ownership model, parking demand at residences, workplaces, and businesses could decrease. In this way, shared AV mobility services could reduce the need for land, so denser development is possible by removing the space dedicated to transportation. And with modest increases in density, higher quality mass transit becomes much more viable. In this world, congestion is not a barrier to growth; instead, mobility and urban growth support each other’s success. As AV technology emerges, we should be cognizant of the benefits we stand to gain during early adoption, but also of the increased opportunities provided by a shared-use model in a more mature market. There are things we can start today — most of them known policy approaches — to increase the positive outcomes for our communities tomorrow. LEVERAGE THE LAND USE CODE. Allow developers to anticipate (and in doing so, partially help to create) a world in which pick-up and drop-off zones are much more highly valued than individual parking spaces. This starts by removing parking minimums and replacing them with maximums; allowing shared parking agreements; and incentivizing developers to provide comprehensive and innovative travel demand management programs. PRICE HIGH-DEMAND PARKING AND DRIVING CORRIDORS according to their true value. To enhance incentives toward a mobility-as-a-service model, allow individuals to internalize the true cost of driving in urban areas. Communicate to service providers that your city values high-capacity, shared mobility options. RETHINK TRANSPORTATION METRICS. We get what we measure. Level of Service—the status quo of transportation metrics — values one vehicle with one traveler nearly the same as a shared vehicle with four travelers. If we want to increase non-single-occupant vehicle travel, we need a metric that communicates that value; vehicle miles traveled is one such metric. IMPLEMENT VISION ZERO, WALKABILITY, AND BIKEABILITY PLANS to require that safe and comfortable travel for all people is the primary objective. Motorized vehicles, regardless of how operated, are subject to this requirement. These policies create the basic building blocks for cities that put people first and encourage a world in which AV technology supports, rather than works against, the highest and best uses of scarce resources. With these policies in place, planners are free to develop partnerships or new service delivery models. Some questions to consider include how to transition current transit operator employees to new professional tracks; potential taxation approaches to encourage the most efficient transportation system; designating specific mobility hubs as AV-based service labs; and leasing publicly owned land to shared AV fleet operators for temporary storage. Fields is a principal and Curtis is an Associate IV with Nelson\Nygaard. If you have served on a planning commission, chances are you’ve heard this statement—or maybe even made it yourself — on more than one occasion. Typically, this lament is triggered by a city council decision that fails to follow the planning commission’s recommendation. Stung by the rejection of their advice, planning commissioners uttering these words wonder if their contributions are even necessary (or appreciated). As a current city council member who served on a planning commission for nine years (and has advised city councils and planning commissions as a city attorney for over 20 years), I can tell you that your contributions are, in fact, necessary. But the value of those contributions should not be measured by whether your recommendations are adopted by your city council. Instead of focusing on whether the city council adopts your recommendations, expend your energy making sure those recommendations are supported by evidence, based on relevant policy arguments, and produced by an objective and fair process that earns credibility with all stakeholders. EMBRACE THE FREEDOM OF NOT BEING THE CITY COUNCIL. Some planning commission members arrive at their “why do we even bother” moments in part because they are trying to play the same role as the city council. As a planning commissioner, you’ll want to avoid this for at least a couple of reasons. First, council members are elected; planning commissioners are not. As elected officials, council members are directly accountable to the residents of the community. Describing the unique position council members occupy, L.P. Cookingham (one of the deans of the local government management profession) once wrote: Council members spend a great deal of time and energy monitoring the mood of your city. It’s harder than it looks; don’t be in a hurry to try to do it for them. Second, council members are required to juggle a broad range of priorities. In addition to the issues that planning commissioners study, the council is responsible for the city’s finances, public works, public safety, and many other issues. They must both understand and balance the competing interests of all of these areas every day without being experts in any one area. As planning commission members, you have the luxury of focusing exclusively on planning issues. You should embrace the freedom to develop that expertise unburdened by the roles of balancing priorities and determining what is politically possible. Recognizing that your role is that of an expert advisor to the council — and not a “mini-council member” — will help you be more effective and less frustrated as a planning commission member. GET ON THE SAME PAGE WITH YOUR CITY COUNCIL. If you find that your city council frequently disregards your recommendations, it may be a sign that the planning commission and the council have different ideas about the community’s goals. Rather than focusing on the individual decisions, take a step back and examine your community’s long-range goals. Are the recommendations you are making consistent with those goals? If they are — and the council is rejecting them — the real issue may be that the council is not on board with those goals. Your community’s long-range goals should be articulated in a comprehensive plan. The planning commission and city council each bring critical ingredients for successfully crafting and amending that comprehensive plan. As planning commissioners, you contribute expertise in land-use planning; the council contributes expertise in what residents of the community will support and how land-use planning objectives fit with other city priorities. If you work with the council to craft (and continually refine) a document that incorporates all of this expertise, you will have fewer “why do we even bother” moments. BE OBJECTIVE AND CREDIBLE EXPERTS. Focusing on being an expert advisor to the council is a necessary, but not sufficient, part of being an effective planning commission. It is critical, in addition to being an expert advisor, that the commission earns a reputation with the council and community stakeholders as an objective evaluator of land-use applications and honest broker of community discussion and research in crafting and refining long-range land-use goals. Prohibit ex parte communications in evaluating site-specific applications. Limiting input by applicants and interested residents (both in favor and opposed to any given application) to written submissions or testimony at a noticed public hearing reassures those observing the process that all of the information you consider when evaluating an application is in the record presented to you and available to the applicant and interested members of the public. Keep an open mind. Resist the temptation to make up your mind until you’ve had a chance to hear from all stakeholders and your colleagues on the planning commission. Direct — don't be directed by — consultants and staff. Use outside experts to tell you the answer, not the question to ask. Engage stakeholders in meaningful ways in policy-making processes. Many of your most valuable experts in charting long-range goals will be stakeholders in your community who know the community from firsthand experience. As a member of the planning commission, you can be an effective and essential part of a city’s land-use regulatory infrastructure if you understand your role, get on the same page with your city council, and earn a reputation as an honest broker of planning expertise for your community. Staunton is a city council member in Edina, Minnesota. Prior to his election in 2014, he served nine years on the Edina Planning Commission, including two years as its chair. Professionally, he is an attorney licensed to practice in Minnesota, where he has served as the city attorney in Excelsior since 1996. 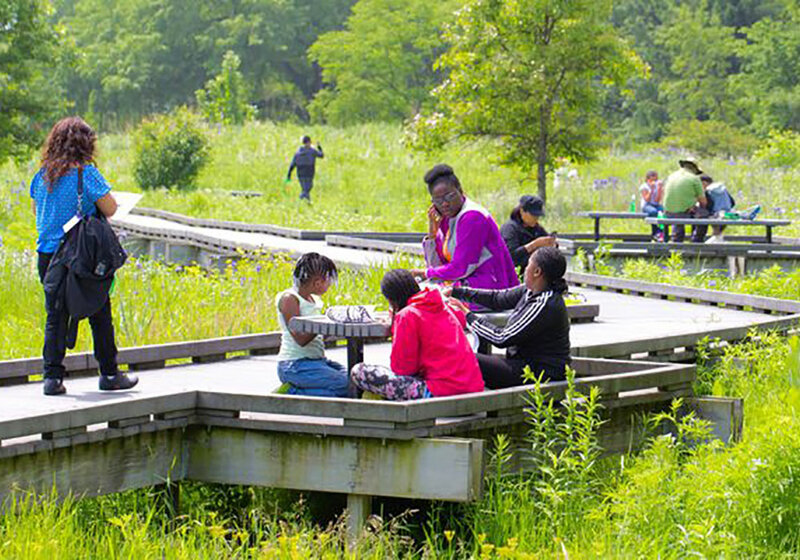 Chicago’s Burnham Wildlife Corridor comprises about 100 acres running along Lake Michigan’s shoreline south of the city center. Photo courtesy Chicago Park District. Development is often responsible for the fragmentation of wildlife habitat. One tool that planners have used to mitigate some of the negative impacts of disconnected habitats is a wildlife corridor. The idea comes out of the work of famed biologist E.O. Wilson, who studied the effects on isolated populations of various species in the 1960s. The basic theory is that plants and animals can travel between isolated patches of habitat by using a “corridor” of undeveloped or restored greenspace and thus reduce the loss of genetic diversity. Critics of the strategy point to the lack of scientific research showing the effectiveness of corridors. Some studies have shown that to be successful, corridors must be significantly wider than most currently are, since many animals tend to avoid edges and prefer more room to maneuver. Leitschuh is APA’s education associate. Autonomous vehicles will take to the roads in the coming years. Is your community ready?